It is Feline Friday here on the Pets and People Blog, let’s talk today about one of the most dangerous cat diseases out there…feline leukemia virus infection (FeLV). FeLV is a contagious viral infection of cats, it does not infect dogs or people. It remains the #1 infectious killer of domestic cats. In fact 2017 is less than a month old and we have already seen one death at Cass County Animal Hospital from FeLV infection. Feline leukemia virus is primarily transmitted through the transfer of saliva, and can occur via bite wounds or even sustained close contact (ie mutual grooming, sharing of food bowls, etc) between cats. It can also be transmitted through blood, nasal secretions, and milk. Kittens can be infected in utero across the placenta. In our practice, bite wounds are the most common mode of transmission. We see FeLV most commonly in young adult cats that are allowed to roam outside, these cats are the most likely to engage in fighting behavior. Once a cat is exposed to feline leukemia virus, several different things can happen. Some cats are able to fight off the infection and remain disease-free. Unfortunately many cats become “persistently-infected” with FeLV. Statistically about 80% of these cats will die from FeLV associated disease within 2-3 years. Over the years, numerous types of medications have been used to treat FeLV infected cats. To date there is no reliably successful treatment protocol. In light of the high mortality rate and lack of effective treatment, prevention of FeLV infection is critical! The first step in prevention is testing for the presence of FeLV. We use a rapid, affordable blood test done right in the exam room to screen cats for FeLV infection. All cats should be tested for FeLV infection PRIOR to starting vaccinations against the disease. Although vaccinating a FeLV positive cat against the virus does no harm, it also has no benefit. In our practice we follow the American Academy of Feline Practitioners vaccine guidelines. New kittens are tested for FeLV exposure at their initial visit. 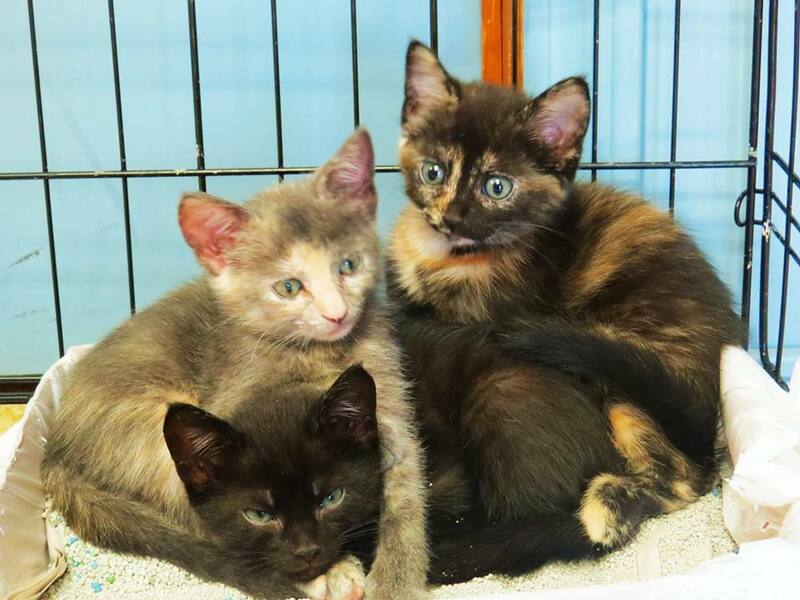 If negative, they receive a FeLV vaccine at 8 and 12 weeks of age (along with other vaccines). All cats then receive a FeLV booster one year later. After that, only cats at increased risk of exposure (ie cats allowed to roam outside) continue to receive yearly boosters. It is important to note that most shelters and rescue groups DO NOT VACCINATE against FeLV. The reputable ones will test their cats for the disease, but almost none include FeLV in vaccinations they give to adopted cats. The reason is simple…the vaccine is relatively expensive. Unfortunately, instead of being honest about this many organizations tell adopters that FeLV vaccination isn’t necessary. This could not be further from the truth! Our stringent testing and vaccination program has done a lot to reduce the incidence of feline leukemia in our patients. We need your help to make sure your cat isn’t stricken with this fatal disease. Here’s what to do…. Get your kitten vaccinated appropriately- remember that the timing of vaccines is critical. Don’t wait 2 months after the first FeLV vaccine to get the booster! 3-4 weeks is the proper interval. Keep your cat inside if possible. If you must allow him/her to go outside, make sure it is supervised activity. If you have more questions about FeLV or any other feline health issue, please call Cass County Animal Hospital at 816-331-6900 or email me at drwayman@beltonvet.com. Summer is here, and I noticed over the weekend that Petmedexpress.com (PME) has ramped up their anti-veterinarian advertising again. TV commercials, Facebook ads, sponsored Tweets, all touting PME’s claim to provide “the same medications as your veterinarian, at 10, 15, 20, even 50% lower prices”. PME has been a thorn in the side of veterinarians in private practice for many years. 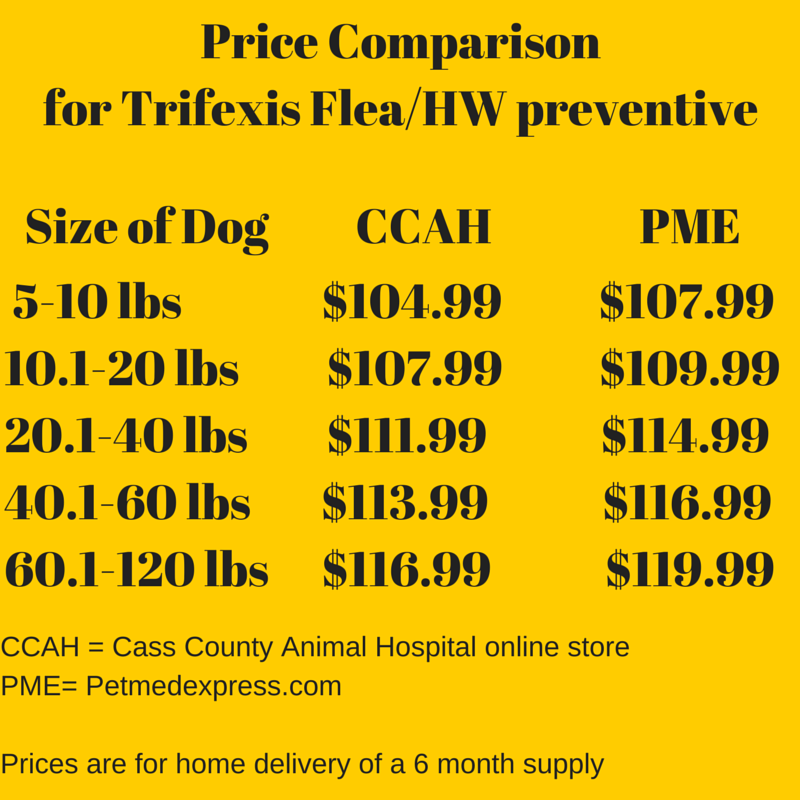 With a multi-million dollar advertising budget at their disposal, they have convinced many pet owners that their family veterinarian is overcharging them on heartworm and flea preventives for their pet. 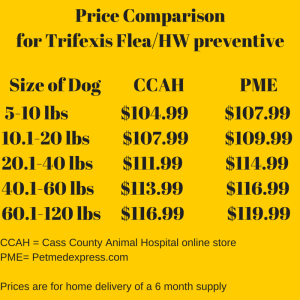 Trifexis is far from the only product where PME is more expensive. The same is true for Heartgard Plus, Advantage Multi, and many others. PME has free shipping for orders exceeding $49, our store ships any order over $38 free! 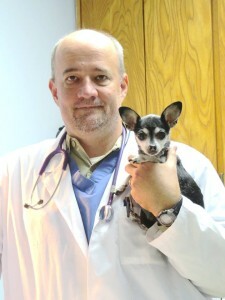 Tomorrow we will talk about why buying from your veterinarian makes good business sense…for both of you. Thanks for stopping by Pets and People! Welcome to the Pets and People Blog! Hi everyone! 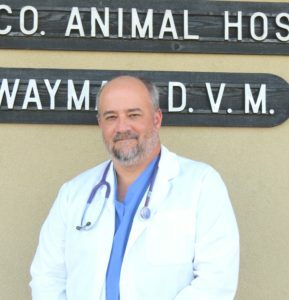 I am Dr. Jeff Wayman, owner of Cass County Animal Hospital in Belton, MO. Thank yo u for making your way to our website at www.beltonvet.com. In other areas of our site you will find all the usual stuff…..Business Hours, Maps/Directions, Social Media Links, even our on-line Store. All those pages are certainly useful, but the real action is going to be here on the blog, and on our Podcast page. In the future, the Pets and People Blog will be discussing….well….pets and people! Contrary to what you might think, veterinary medicine is as much a “people” business as it is a “pet” business. And yes, I intentionally used the word business…we will talk lots about that in the future. honest, straightforward information about how best to care for the dogs and cats you and I love so much. some occasionally controversial comments from yours truly…I’m not afraid of plain talk about the profession I have given my life to. Let’s start with some of that plain talk… If you are a veterinarian-hater, think we are all just “in it for the money”, or otherwise have no respect or use for veterinarians, please just move along. Nothing good will come from you and I spending time together. 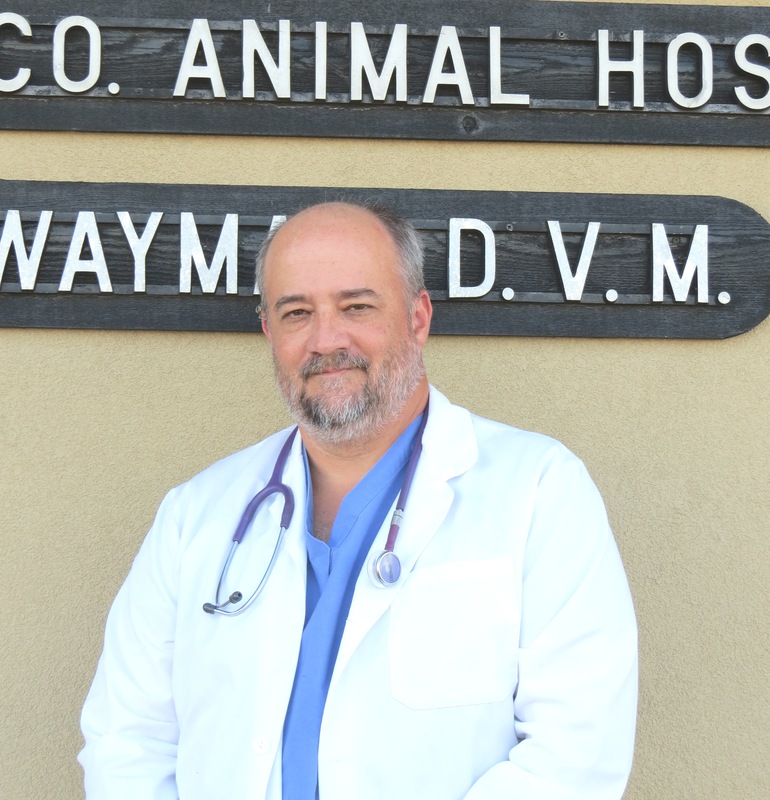 99% of the clients I see are wonderful people, are genuinely interested in taking good care of their pets, and appreciate the vital role a veterinarian plays in their pet’s health. This blog is for that 99%. Please share your comments, criticisms, and questions below, and be a part of our growing online community!